According to the Federal Agency of Air Transport last information in November 2018 the Russian airlines served 8,6 million people in the domestic and international flights. The growth is about 14% compared with the similar period of the last year, the passenger turnover has increased by 14,5% and approached to 22 billion passenger kilometers. From the beginning of this year the airlines carried 107,8 million passengers, the growth is +10,6% compared with the similar period of the last year. The passenger turnover is 265,6 billion passenger kilometers, the growth being +10,6%. The passenger load factor has increased by +0,7 p.p., up to 84,2%; with the revenue load factor being +1,1 p.p., up to 71,3%. In the first half of the year of 2019 Aerofuels Group of Companies will put into operation a new jet kero quality control laboratory on the island of Kunashir (Yuzhno-Kurilsk, the airport of Mendeleevo) where a full complex of works on quality control of fuel grade TC-1, PT and special fluids will be carried out using new devices, which will enable to increase air carriers service level in the airport. A high level of aviation fuel is one of the key conditions of flights safety, and, consequently, from the very beginning of their activity on the territory of Russia Aerofuels Group of Companies pays a special attention to refueling complexes provision with the up-to-date quality control laboratories, investing essential financial resources in upgrading and building of new laboratories. At the present time Aerofuels possesses a network of 16 laboratories situated in the Russian airports (from Pskov to Petropavlovsk-Kamchatsky) and regularly passing the required inspections and certification. The fuel quality control procedure fully meets the requirements of the Customs Union and the world departmental standards. According to the Federal Agency of Air Transport information in September 2018 the growth is 10,4% compared with the similar period of the last year: the Russian airlines carried 11,8 million passengers, the passenger turnover has increased up to 28,7 billion passenger kilometers, i.e. increased by 10,6%. At the same time the passenger load factor has increased by +1,3 p.p., up to 87%, with the revenue load factor being +1,8 p.p., - up to 73,1%. From the beginning of this year the air carriers have served 89,1 million passengers, the growth is +10% in the comparison with the similar period of the last year, the passenger turnover has increased up to 219 billion passenger kilometers (the growth is +10%). The passenger load factor has increased by +0,7 p.p., up to 84,7%, with the revenue load factor being +1,4 p.p., - up to 71,6%. The tendency of passenger air travels growth remaining from the beginning of this year has a favorable effect on their self-cost (and, consequently, on cost effectiveness of airlines) and reflects in improvement of the economical and financial indicators of other market participants, - TZK and service companies. In 2018 Aerofuels Group of Companies continues to supply Far East airports (Kamchatka, Sakhalin and other Far Eastern regions) with jet kero by the Northern Sea Route. Marine tanker transportation of aviation fuels is safe and proven method of delivery with which Aerofuels customers, the Russian and international airlines are guaranteed uninterrupted supply of high quality jet kero, with products delivery speed being increased making a good effect on fuel price with into-plane refueling to be decreased by 5-8% minimum. Aerofuels Kamchatka, which celebrated its fifteenth anniversary in April 2018, manages its own oil tanker fleet of Aerofuels group (and from 2017 – engaged tankers, as well). Aerofuels Kamchatka LLC, a member of TZK network belonging to Aerofuels Group of Companies, possesses its own up-to-date refueling facilities and trained personnel. At present Aerofuels Kamchatka is the only refueling complex in Russia which employees work onshore and offshore. The Northern Sea Route is the shorted way by water from Europe to the Pacific Ocean, and the main shipping line of the Russian Arctic. According to experts’ opinion, over the coming years the Northern Sea Route will develop as a national and international transport system. In July 2018 Aerofuels Nizhny Novgorod LLC offered to four-year student pilots of Ulyanovsky Institute of Civil Aviation named after B.P.Bugaev, Aviation Marshall, opportunity to undergo practical pre-qualification training based on Aerofuels Group of Companies refueling complex in the airport of Strigino. In the course of the training and practical work the student pilots got acquainted with storage procedures and into-plane refueling technique, as well as up-to-date refueling equipment. All trainees notes high professionalism, efficient and thorough team-work of all company’s employees and an inviting atmosphere of classes. Based on the practical training results, S.I.Krasnov, Institute Rector, sent to A.P.Pastushkov, Aerofuels Nizhny Novgorod LLC General Director, a grateful letter where he expressed his hope and wish to cooperate with Aerofuels in future, to strengthen contacts and to extend areas of common interest. On July 11th, 2018, Aerofuels Ulan-Ude LLC, engaged in refueling in the international airport of Baikal, received the Certificate of Conformity for air services jet fuel supply. Certification was held by the State Research Institute of Civil Aviation of the Ministry of Transport of Russia within the Voluntary Certification System of the civil aviation facilities. Again, the company confirmed their conformance to the requirements for arrangement of the whole complex of services in aircrafts refueling with aviation fuels and anti-icing fluids IM in compliance with the Federal aviation regulations and legislation of the Russian Federation. Aerofuels Ulan-Ude LLC is a member of the network consisting of 24 TZK being a part of Aerofuels Group of Companies. It possesses its own up-to-date refueling facilities and skilled personnel. TZK guarantees to the Russian and international air carriers refueling with high quality jet kero having passed the required laboratory quality control using equipment meeting the departmental standards. From June 12th to 17th the Ball Hockey World Cup was held in Ice Palace of the city of Dmitrov (Moscow Region). This quite a new sport is some kind of ice hockey. Ball hockey games run not on the ice but on the even hard floor, with a plastic ball and hockey stick. As it is today, this game appeared in the seventies of the 20th century, got especially popular in the nineties, and for the first time ever the Ball Hockey World Cup took place in Russia. The World Cup was attended by teams of men’s and women’s categories from Canada, USA, Great Britain, Slovakia, Czech Republic – total over 400 foreign sportsmen-participants and guests, among whom one could see Andrey Vorobjev, Moscow Region Governor, Vladislav Tretyak, Russian Ice Hockey Federation President, celebrity actors of theatre, cinema and show business. Aerofuels Group of Companies acted as one of the sponsors of this outstanding sports festival. The Russian men’s and women’s teams were successfully in competition with the experienced opponents. Our national women’s team became the ball hockey world champion having tied the game (1:1) with the Canadian women’s team and having won in game-winning shots with the score of 2:1. We congratulate our National Women’s Team - we are greatly proud of our sportsmen! Aerofuels Group of Companies carries out a consistent work on re-equipping of their refueling complexes (TZK) in the Russian airports, one of the key areas of activity being up-to-date aircraft refuelers and tank trucks purchasing. Orders for new refuelers are placed at the Russian manufacturers which products have proven their worth in different operating and weather conditions in the Russian airports. In July 2018, within a vast program of investments in TZK upgrading on the Far East territory, a new TZA-30 of GRAZ manufacture was delivered to one of the oldest enterprises of Aerofuels Group of Companies – to the airport of Yelizovo (Petropavlovsk-Kamchatsky), and by the end of the year one more same model refueler will be supplied to the airport. Use of new TZA-30 during airplanes refueling guarantees to the air lines the level of service satisfying IATA standards and requirements of the international and domestic aircraft manufacturers, and makes it possible to save time significantly during aircraft refueling. Aerofuels Kamchatka TZK is a member of the network consisting of 24 TZK being a part of Aerofuels Group of Companies. It possesses its own up-to-date refueling facilities, laboratory and skilled personnel. TZK regularly passes voluntary certification for jet fuel supply and guarantees to the customer the high-quality jet kero refueling. The company also manages Aerofuels Group of Companies oil tanker fleet. 2018 World Football Championship takes place in Russia from June 14th to July 15th. By Federal Tourism Agency estimation, this large-scale sport and tourist event attracted about 40% tourists more than the Olympic Games of 2014 in Sochi. In all cities of FIFA World Football Cup (Moscow, Kaliningrad, St.-Petersburg, Volgograd, Kazan, Nizhny Novgorod, Samara, Saransk, Rostov-on-Don, Sochi, Yekaterinburg) the passenger flow has increased significantly due to regular flights frequency growth and deployment of a greater amount of additional charters. Aerofuels subsidiaries located in five of eleven Championship host cities (Moscow, St.-Petersburg, Kaliningrad, Nizhny Novgorod, Yekaterinburg) promptly provide flights of the Russian and international air lines carrying teams – World Cup participants and football fans. 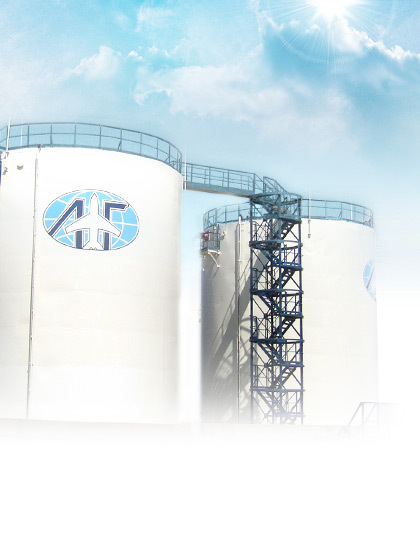 Up-to-date and certified refueling complexes of Aerofuels Group of Companies guarantee a high quality refueling, including fuel which passes a strict examination in advanced laboratories, as well as services in refueling, with the company’s own refuelers fleet in use, meeting the highest international requirements. According to the Federal Air Transport Agency information, in the first four months of 2018 air carriers served over 30 million passengers of the domestic and international flights, and the passenger flow growth in the comparison with the similar last year period made 13,3%. A significant growth of business activity scope was observed in five leading Russian air lines (Aeroflot, Rossiya, S7, Ural Airlines, UTAIR), which are old partners of Aerofuels Group of Companies in refueling in Russia and abroad. Cargo and mail transportation in Russia in early 2018 has also grown, in average the growth made about 8% per 1 quarter. At last year end cargo transportation figures increased by 15,7%. Vladimir Tasun, President of Russian Air Transport Operators Association (RATOA), when summing up the results of work in 2017, explained the maintained dynamics of passenger flow growth by Russian air carriers tariff policy, ruble strengthening and resumption of flights to Turkey. Market analysts expect that in 2018 the speed of air transportation growth will be kept, and at year-end of 2018 the industry, on the whole, will increase key figures by 10 – 12% (due to World Football Championship as well). In late March of 2018, Aerofuels passed certification held by the State Research Institute of Civil Aviation FGUP of the Ministry of Transport of Russia within the Voluntary Certification System of the civil aviation facilities. The inspection proved full conformance of Aerofuels refueling complexes to the Russian Federation legislation requirements for services in aircrafts refueling with aviation kero, and, totally, for arrangement of air transport jet fuel supply. Based on the company inspection results a new Certificate was issued for acceptance, storage, preparation to delivery, delivery to refueling and refueling of aircrafts in the airports of Domodedovo (Moscow) and Pulkovo (St.-Petersburg). Aerofuels was founded in 2001 and now it is successfully operating in two large airports of Russia – Domodedovo and Pulkovo. The company guarantees to the customers, Russian and foreign air carriers, a high level of the services with the company’s own refuelers fleet being used and satisfying the national and international departmental standards. Fuel loaded in the aircraft tanks passes a strict examination in the up-to-date laboratories of quality control and conforms to the safety and environmental compatibility regulations.